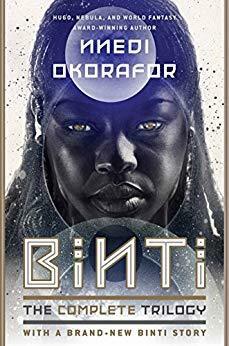 Nnedi Okorafor is a Nigerian American author of African-based science fiction, fantasy and magical realism for both children and adults and a professor at the University at Buffalo, New York. Her works include Who Fears Death, the Binti novella trilogy, the Book of Phoenix, the Akata books and Lagoon. She is the winner of Hugo, Nebula, and World Fantasy Awards and her debut novel Zahrah the Windseeker won the prestigious Wole Soyinka Prize for Literature. She lives with her daughter Anyaugo and family in Illinois. Learn more about Nnedi at Nnedi.com.